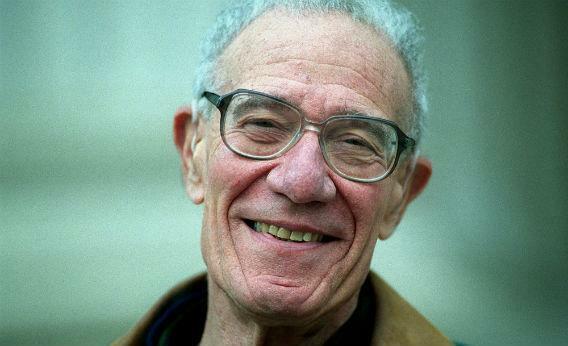 Robert Solow, Tyler Cowen, and other economists misunderstand science and technology. Photograph by David L Ryan/The Boston Globe via Getty Images. Typically, technical or technological progress isn’t explicitly defined by those invoking Solow, but people take it to mean new gadgets. However, Solow meant something much broader. On the first page of “Technical Change and the Aggregate Production Function,” the second of his two major papers, he wrote: “I am using the phrase ‘technical change’ as a shorthand expression for any kind of shift in the production function. Thus slowdowns, speedups, improvements in the education of the labor force, and all sorts of things will appear as ‘technical change.’ ” But his willfully inclusive definition tends to be forgotten. Solow was constructing a simple mathematical model of how economic growth takes place. On one side was output. On the other side was capital and labor. Classical economists going back to Adam Smith and David Ricardo had defined the “production function”—how much stuff you got out of the economy—in terms of capital and labor (as well as land). Solow’s point was that other factors besides capital, labor, and land were important. But he knew his limitations: He wasn’t clear on what those factors were. This is why he defined “technical change” as any kind of shift (the italics are his) in the production function. He wasn’t proving that technology was important, as economists in recent years have taken to saying he did. All Solow was saying is that the sources of economic growth are poorly understood. The cautionary tale of Solow is emblematic of how economists get science and technology wrong. One economist creates a highly idealized mathematical model. The model’s creator is, as Solow was, honest about its limitations. But it quickly gets passed through the mill and acquires authority by means of citation. A few years after Solow’s paper came out, Kenneth Arrow, another Nobel Prize winner, would write that Solow proved the “overwhelming importance [of technological change in economic growth] relative to capital formation.” It’s a sort of idea laundering: Solow said that we don’t know where growth in economic output comes from and, for want of a better alternative, termed that missing information “technical change.” But his admission of ignorance morphed into a supposed proof that new technologies drive economic growth. To take another example of just how rudimentary economists’ understanding of the importance of technology to the economy is, look at a best-selling book that came out last year, The Great Stagnation, by prominent economist Tyler Cowen. The central argument of The Great Stagnation is that technological progress is slowing down, which will hurt economic growth. But what is Cowen’s proxy for “technological progress”? He relies almost exclusively on a paper published in Technological Forecasting and Social Change by Jonathan Huebner, a physicist at the Naval Air Warfare Center. Huebner’s paper, “A Possible Declining Trend for Worldwide Innovation” relied on a simple methodology. He scanned a book called The History of Science and Technology: A Browser’s Guide to the Great Discoveries, Inventions, and the People Who Made Them From the Dawn of Time to Today. It lists more than 7,000 “discoveries” by the year in which they were made. Huebner divided the number of discoveries made each decade since 1455 by the population of the world in that decade and made a graph. He then concluded that “worldwide innovation” might be declining. He is right about the likely inevitability of this push. But his complacency (“not especially to be regretted”) comes from a comfortable lectern in Sweden. I can’t quantify for you the damage that such overzealousness causes without falling into the very trap I’m pointing out. It’s reasonable to ask the questions economists ask. But when they claim to have measured things that they haven’t—the importance of technology to the economy, the “rate of technological change,” or the bang per federal research buck—and policymakers believe them, it leads to bad policy. Take the case of STAR METRICS, an effort by the Obama administration to “document the outcomes of science investments to the public”. STAR METRICS uses things like counting patents or how often a scientific paper has been cited to measure “the impact of federal science investment on scientific knowledge.” It’s easy to measure how many times a scientific paper has been cited. But make this of major bureaucratic importance, and you’ll get researchers citing things for the sake of citing them. The notion that something is unquantifiable is alien to the mindset of the modern economist. Tell them it’s not quantifiable, and they will hear that it has not been quantified yet. This mistake matters, because economists and their business-school colleagues are very influential in the formulation of public policy. If economists rather than biologists decide what is good biology through supposedly quantitative, objective evaluations, you get worse biology. If economists decide what makes good physics, or good chemistry, you get worse physics, and worse chemistry. If you believe, as I do, that scientific progress, broadly speaking, is good for society, then making economists the arbiters of what is and isn’t useful ends up hurting everybody. The greatest irony is that economists are ultimately no different from any other academics. Their argument for saying that we should give more money to study the economics of science is pretty much: “Trust us, what we’re doing is useful.” This is precisely the same argument with which they ding the physicists and biologists. So really, what we need is to study the economics of the economics of science. Of course to know just how useful this is, we’ll need an economics of the economics of the economics of science. Where does it end?